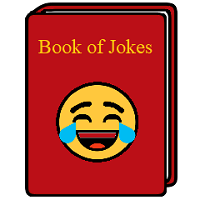 I am going to publish a book that contains funny jokes that can make you laugh with tears of joy. You can see some sample jokes below. Please back this project at at Indiegogo or Kickstarter if you like it, thank you! The followings are the Greatest Hits of All Time in public washrooms. Just When I Needed You Most – the stall was running out of toilet paper. Close to You – a guy walks towards a urinal in the middle of two other guys. (Everything I Do) I Do It For You – to the janitor from the person who vandalizes a public washroom. Echoes – when you drop something into the toilet. Imagine – when you do not have anything to read in the stall. Here I Am – when someone knocks the door of your stall. I'm Still Standing – When the washroom is full. Careless Whisper – this one is special, actually, it is not sung in the washroom. Instead, it is sung when the gas leaks out before you go to the washroom. An elementary student was asked to write an essay on Country, President, Parties and Citizen. The little boy had no clue about their meanings so he asked his dad. His dad used an analogy to explain: “Our home is a Country. I am the one in charge, so I am the President. Mother and grandma have a say on some issues but normally have different opinions, so they are the Parties. You and your siblings have to obey us, so you are the Citizens.” The boy memorized the roles but did not understand the meanings at all. He asked his parents the exact meanings of the words but both of his parents just ignored him. He went to his grandma where she was watching TV in the family room. “Shhh, can’t you see I am watching the show now?” His grandma did not want to spend time on him either. Our president is a pig. Our parties are not listening. Human Microwave Oven – your mouth, good to reheat foods, just keep your food there for about one minute before swallowing it. Human Recording Machine – your spouse; will playback (report) to you what happened that day before you sleep. Human Dishwasher – your mother; it may be you or your wife too. Human Dental Floss – your hair or fingernail; has to be long enough. Human Stress Ball – your face, or other’s face; but don’t try on baby’s face. Human Air Freshener – your internal organs; unfortunately, there is only one scent – egg salad.